My thesis is, in a nutshell that as developers we often end up dealing with complex logical situations in a user interface that are best explained by this sketch from Monty Python’s The Meaning Of Life. MR HUMPHREY: I do wish you’d listen, Wymer. It’s perfectly simple. If you’re not getting your hair cut, you don’t have to move your brother’s clothes down to the lower peg. You simply collect his note before lunch, after you’ve done your scripture prep, when you’ve written your letter home, before rest, move your own clothes onto the lower peg, greet the visitors, and report to Mr. Viney that you’ve had your chit signed. Now, like me your probably written an application with a user interface that ends up with complex logic all over the place and a single change results in unpredictably strange consequences. As you make changes to this the code complexity grows. 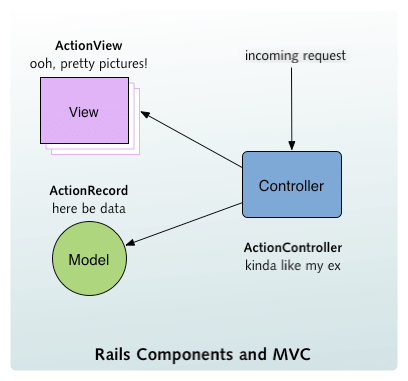 As developers, the best we have been able to come up with is MVC, which puts all that logic is all in the controller, however this is distributed throughout the code of the controller and there is no guarantee that you won’t end up dabbling in the Kafkaesque. Describing a set of integrated rules in one location in a domain specific language. Decoupling this description as much as possible from the the Views. Allows those rules to be provable and enforced via contracts. Allow the system to be intelligent enough that it exhibits emergent behavior via its logical roots, this emergent behavior can then be leaned upon and provide complex yet intuitive behaviors to users for free. My aim was to break the controller up into a state machine based rules system and a layer that could mediate between the state and view. The states could be mathematically provable with contracts ensuring that no illegal state combination could be entered. Combining this with a direct mapping layer between states and views, could result in a lot of code being abstracted away into the state machine and result in a more compact code-base. The state-machine is a formalised description of the possible states of a system. States are either ‘active’ or ‘inactive’. The state-machine is multi-dimensional (states have sub-states) and multi-state (more than one state can active). The state-machine description consists of an XML file that describes a list of states. A state machine description consists of a list of states. Each state has a collection of sub-states which can only be active if their parent is active. A list of rules for validating states which allow for a degree of asserting contracts between states. A state can ‘exclude’ another state. Which is a way of saying that if this state is active then the other state should be inactive. If not, a fault will be indicated by an exception. A state can ‘include’ another state. Which is a way of saying that if this state is active then the other state should also be active. If not, a fault will be indicated by an exception. Can anyone think of an alternative to require and unrequire. Im seriously considering canhas and doesnotwant as they make as much sense as any other alternatives so far. A list of rules that describe how a states can control that activation of other states. A state can ‘negate’ a specified state in which case when the state becomes active it will try and make the specified state inactive. A state can ‘affirm’ a specified state in which case when the state becomes active it will try and make the specified state active. A trigger can fire when a states ‘enter’ (become active). A trigger can fire when a states ‘exit’ (become inactive). A trigger can fire when two specified states transitions ‘from’ or ‘to’ active/inactive between determining states. A state can have a lock which forces it into its current state until the state machine is reset. MetaWrap.State.flipState(stateName) – Flips the named the named state from active to inactive or visa versa. Returns true if state is was flipped. NOTE  This wont work in Safari or Opera.. yet. Neither of these browsers support client side XSLT. Im working on a simple solution for this. My first serious example was to model a simple toaster in a way that used most of the functionality of the state machine. I wanted to model two classes of behavior. The first are based on the explicit physical properties of the toaster (power on/off, bread in/out, lever up/down). I added the typical toaster behavior that you cant push the lever down if the toaster is not on. The second are based on the higher level states build up on the physical states, for instance if the power is on, the bread is in and the lever down, then the toast is cooking. I have also added the state where if you put the lever down after the toast has cooked, it will burn the toast. I think it was Lela who suggested that I try and model Tic Tac Toe. So I sat down and defined the finite state machine. .. whole 🙂 . And the formal description can make some things obvious. For example. In the way I modeled Tic Tac Toe, it could be Xs turn or Os turn. Once the game is over, whos turn is it? There is a fault in my current model that became obvious after examination. I thought I was being clever by inversely relating x_turn and o_turn because it gave me a way of tracking the turn inside of the state machine which would then flip the current state. However at the end of the game when I want to make it nobody’s turn, if I negate x_turn, o_turn becomes true and then when I negate o_turn, x_turn becomes true. I solved the issue by locking the turns. Im probably going to modify lock so that you can specify a value to lock it on and get it to suspend all further affirmations and negations down the chain, but I need to work out what the implications for that could be. The state view map is a formalised description of mappings from a state to a view and a set of aspects of that view. A state view map description consists of a list of states and the pages and aspects that should be visible. i swear we are the only 2 people in the world that think like this… i guess you’ve given up on this, as there is no follow up, the links don’t work, and i’m still trolling the web for a similar such mechanism… what happened? safari supports client side xslt now… hit me up if you wanna resurrect this..
Strangely enough I’m close to starting this up again and porting it to HaXe so I can cross compile to more languages. Thanks for pointing out the broken links.